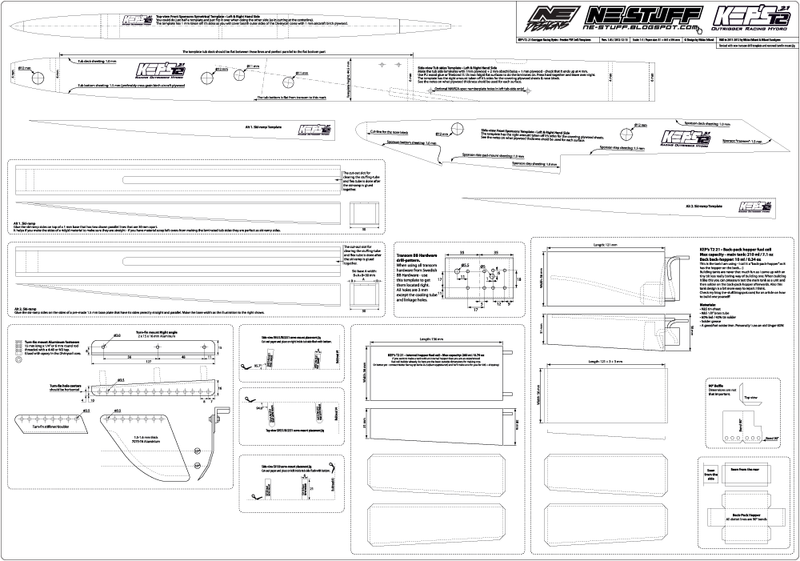 NE-Stuff: KEP's T2 .21 - Freebie! NOTE, there is an new KEP's T3-21 Freebie just published! Click HERE for download of the new KEP's T3-21! The Next generation R/C Nitro Racing Outrigger Hydroplane Freebie - The KEP's T2 .21! 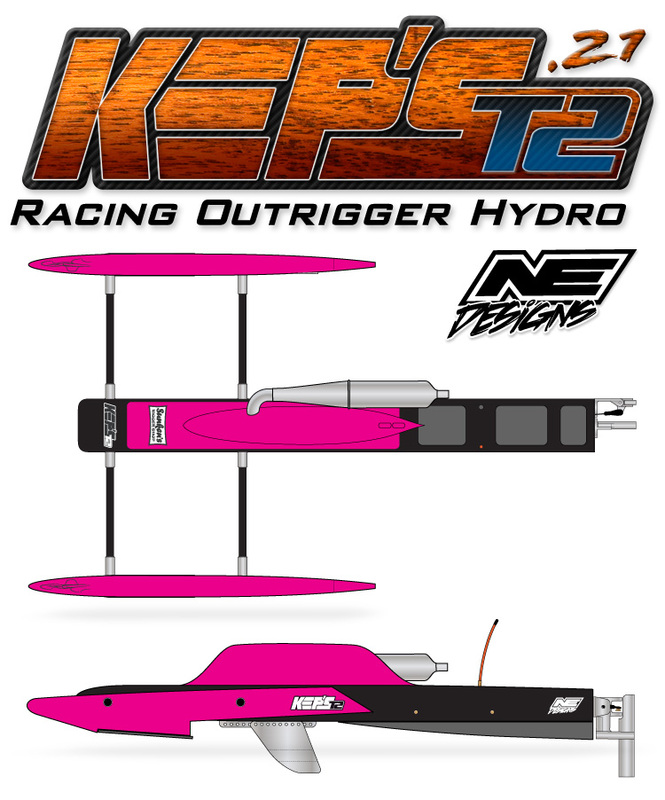 We have developed the T2-21 for two racing seasons and the prototype T2 is the 2011 & 2012 National Swedish Champion in FSR-H3.5 and the World Championship silver medal boat of NAVIGA FSR-H3.5 in 2012! The drawings are in PDF format. The paper/drawing size is A1 = 841 x 594 mm. Save the PDF's on your favorite storage medium (like a USB stick) and go to a print-shop and have them print it out in 1:1 scale / 100%. 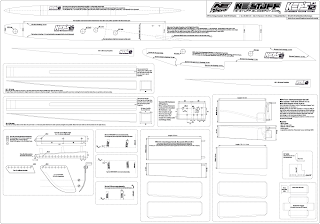 Updated 2012-12-13 with sponson locking pins (1o2 pdf) and transom drill-template (2of2 pdf). 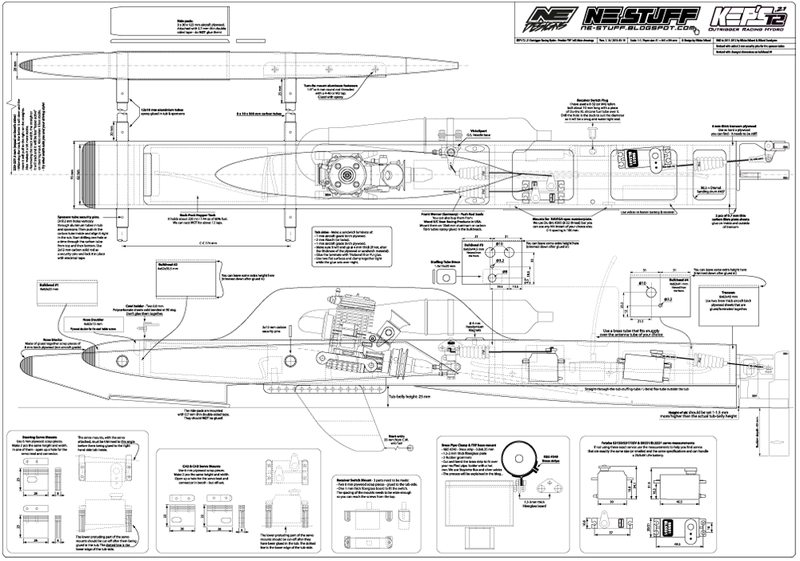 Updated 2013-03-19 with updated dimensions on bulkhead #4 (in the main "1of2" pdf file). The drawings themselves are right but the specified bulkhead with it's dimensions was somehow corrupted... Download the bulkhead #4 dimensions HERE as a A4 sized pdf. 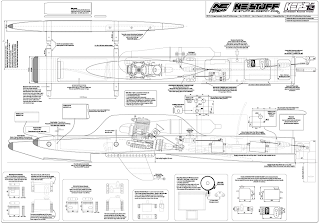 The main drawing of the KEP's T2 .21 (1of2). Click HERE for download. The PDF size is A1 = 841x594 mm. Basically you will use this as reference drawing when building your T2. The template drawings of the KEP's T2 .21 (2of2). Click HERE for download. The PDF size is A1 = 841x594 mm. When you have had this printed out you will cut it to make the actual templates etc. Note, this (2of2) pdf is now updated with a BB Hardware transom drill pattern/jig. If you don't want to print that out again in A1 size you can click HERE for download of a small A4-sized version of that part.